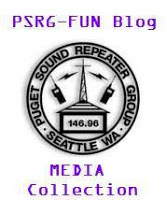 This list is for announcements of interest to the membership of the Puget Sound Repeater Group. Anyone can join, but only approved messages will be sent to the list. This generally means announcements about meetings or events that are related to PSRG activities. Members of the PSRG are strongly encouraged to join this list, to reduce the amount of postage we must pay for mailed announcements. It’s a simple thing to do, and you’re helping yourrepeater organization save money for better things. Each day at 9:00 AM and 9:00 PM there’s a certain excitement in the air, as a number of die-hard PSRG members gather around their radios for the Nine O’clock net. Then the moment arrives, “Time for Net!” The mystery that is the Nine O’clock net has begun. This email list is for the exchange of information for those who routinely check into The Nine O’clock net. All are welcome to check in and share their day with the group. This mailing list is an open discussion group.